Finally finished! I would have gotten it done a long time ago, but I got frustrated with our pets. They just wouldn’t stay off of it while I was working on it! That made it impossible for me to be able to turn my work when I needed to and that is twice for every row. What I ended up doing was to spend a Saturday at the car lot with my husband and work on it there. I decided I wanted to learn how to spin my own yarn. I’ve been wanting to do it every since I was a little girl and saw a spinning wheel for the first time. Not willing to plunk down the kind of money it would take to buy a spinning wheel not even knowing if spinning is something I would like enough to do on a regular basis. 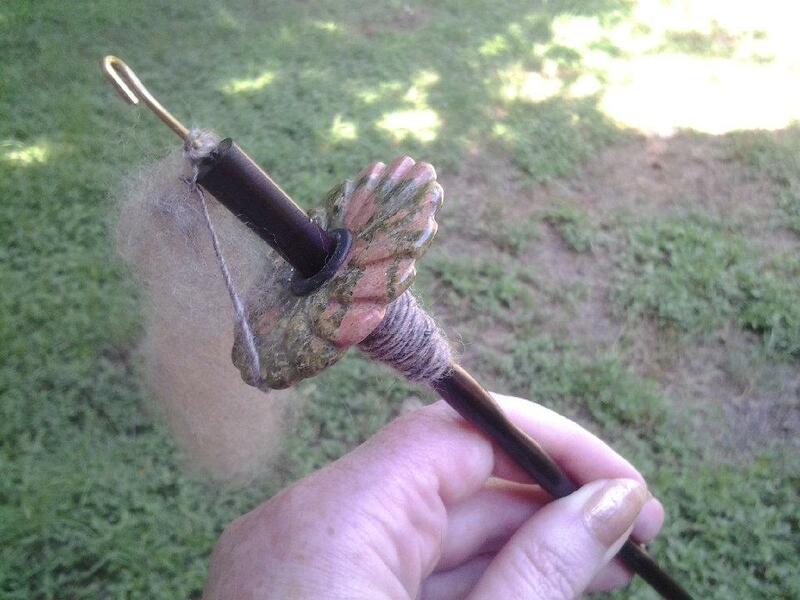 I watched every spinning video I could find on youtube then hoped on over to the etsy web sight and bought a top whorl drop spindle. 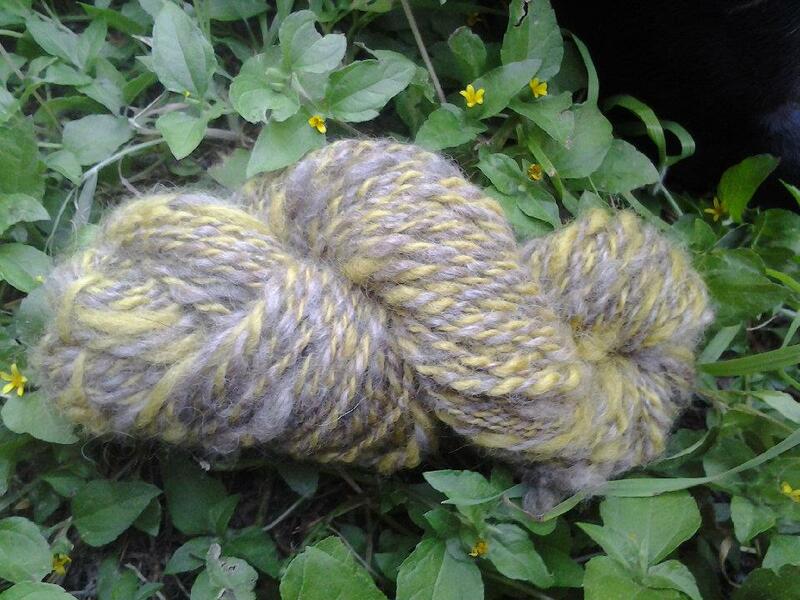 The lady who I bought the spindle from was nice enough to give me a sample of roving so I was able to try right away instead of having to weight around for the roving I ordered from someone else to arrive. ILOVE IT! I’m so glad I decided to take the plunge. I’m having so much fun! I love handling the fiber. The wool sample I was sent is sooooo soft. I can’t weight to knit or crochet something with it. It’s such a pleasure to handle. I’m also very pleased with the spindle I chose. It weighs one ounce and has a stone whorl. It’s extremely well balanced and will spin like the energizer bunny (it keeps going and going and going) Not to mention how pretty I think it is. The lady who made it did a wonderful job. Expect to see more spinning posts because I… am… hooked.